So much eye candy! You were busy, busy bees! Some of you have some major closet systems happening! I was drooling! Jessica has installed a mix n' match of Closetmaid pieces from Target and integrated them into her existing system to create the ultimate dreamy closet! 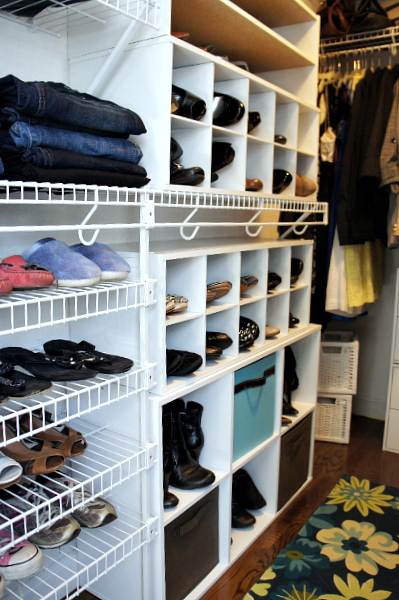 Daisy also installed a custom closet system and you won't believe the before and afters! It made such a difference in the overall functionality and ease of use. So much love! Aren't kid's closets the cutest? I am head over heels for the picture labels on the drawers that Ulrika created! 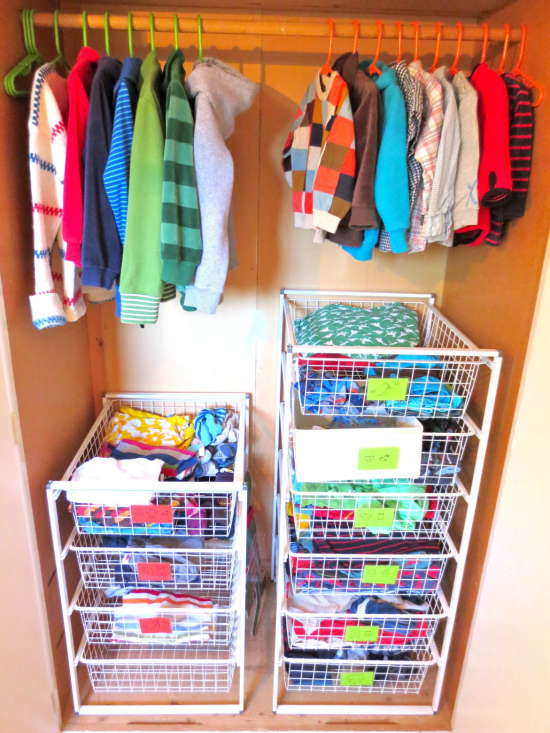 Jamie's nursery closet is the perfect combination of bins, baskets and labels. I love that it is a system that will be functional for years to come! You all gave me serious shoe envy! My girl, Erin, never disappoints. Her closet is nicely color coded and baskets are sweetly labeled. Anything could be found in a snap! I really enjoyed reading the hanging tips. Jenny color codes with paint swatches! 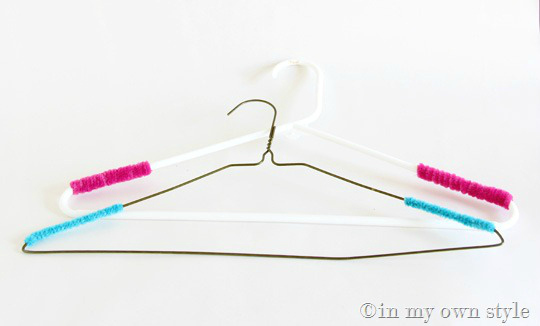 And Diane uses pipe cleaners to create no slip hangers on a budget! Genius! I totally dig how you all brought in pops of color into your closet by painting, adding colorful bins and even tossing a rug inside! 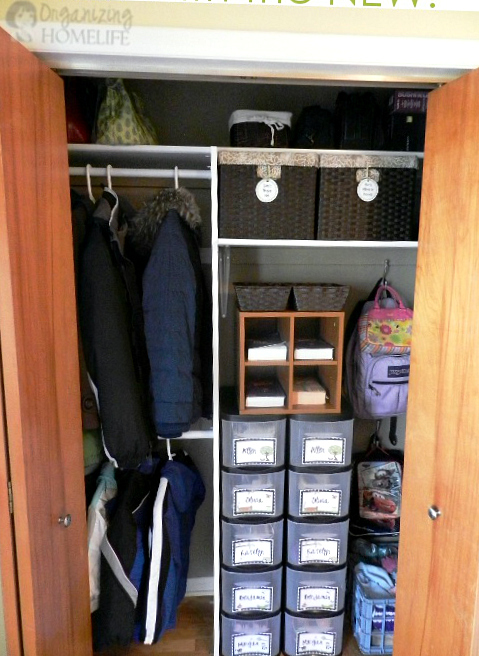 Check out Renata's great use of space! Love this incredible "after" photo? Pop over to Ginny's blog. You won't believe the transformation that took place! And the jewelry storage ideas! I love all of the divided drawers in Erin's closet to keep jewels from tangling and keeping them easy to find in an instant! I love this DIY version from Caitlin over at Hardly Housewives. It's all created from mix and match hardware! I adore how Shauna mixed and matched tea cups with paper covered boxes to create an eclectic mix of fabulous jewelry storage and display! Thanks again to everyone for making the last link party such a fun event and for sharing all of your hard work. 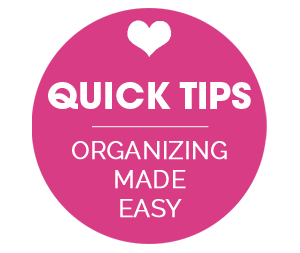 I hope you all are finding tons of smiles and benefits from all the sorting, purging and organizing that took place! 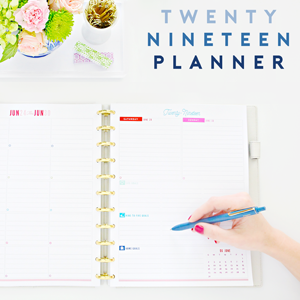 Sometimes a good challenge is just what we need to get our organizing booties in gear. Any ideas or suggestions for the next challenge and link party? I was so excited when I saw my shoes in this post! Thanks Jen! What a fun around the internet looking at all these tidy spaces. Thanks for sharing them. i LOVE closet transformations, and these are no exception. I really like the idea of the drawer handle pulls for things like watches and bracelets. super creative! I'm also considering color-coding my clothes - maybe the paint chip idea is something I'll have to try out! What amazing inspiration! 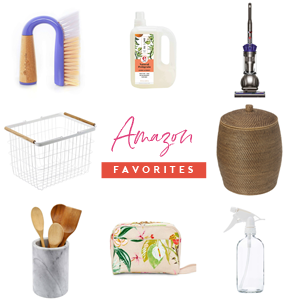 This month I plan to conquer my family's closets and I got a lot of inspiration from these pictures! Thank you! Amazing features and so much inspiration. Maybe a kitchen junk drawer organization for the next link party. I need some motivation! 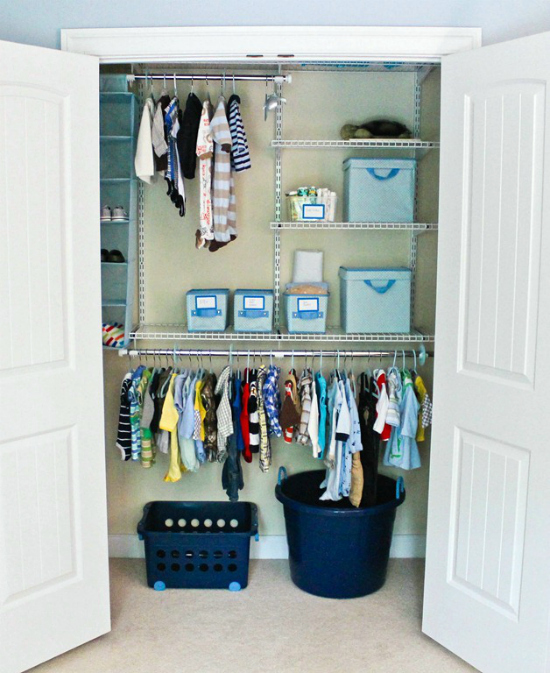 I love these closet makeovers! I'm living in Germany right now, so there aren't really any closet options-- just big wardrobes! I'll have to take some tips from this and utilize them! great ideas! we do not have much storage space in our house, but my dear husband put a great little system in my closet. it has worked beautifully for five years now & the lack of space forces me to get rid of things & declutter (which i love)! 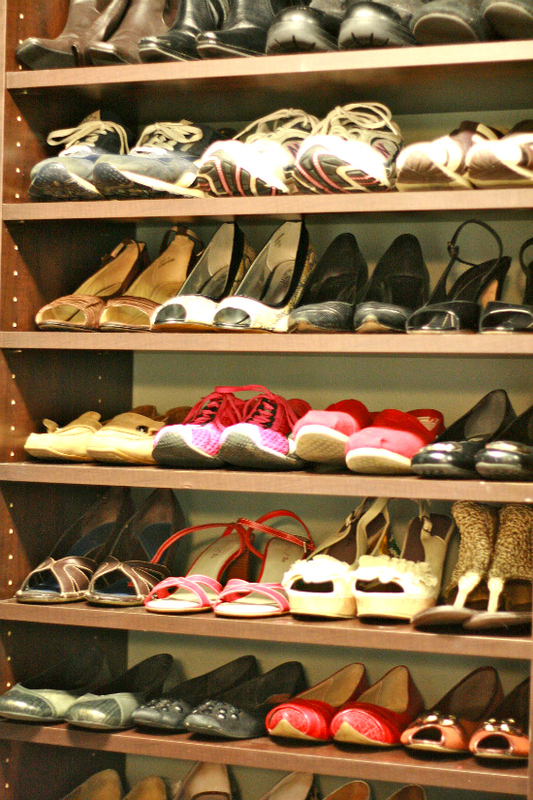 Beautiful closets that I am jealous of! Just stumbled upon ur blog! I can't believe how organize you are! What a fabulous post - I loved this - so much inspiration here!! PS: I just did a fabulous pantry makeover over on my blog so maybe a pantry link party next time?! This is awesome! I am so glad that you decided to share these! I live in my sorority house and have to move out every summer. 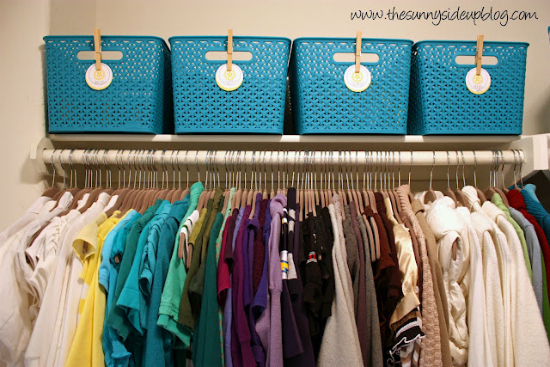 I love all the ideas that I've found to organize my closet, that isn't a built in! I just found so many created and cute ways to organize my closet that I'm able to remove and bring home to use there! I am especially in LOVE with Erin's little baskets with the labels! Adorable! I will definitely have to implement this into my closet! I need some serious closet organization. I color code and organize according to articles of clothing, but my shelves are pretty much useless and I'm not using my vertical space properly. 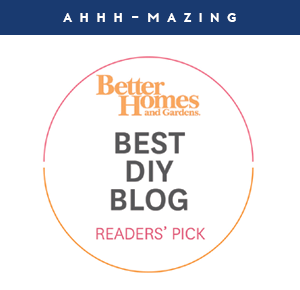 These ideas will certainly help! I am in desperate need of some closet organization!! Thanks for all of the ideas. Awesome ideas!!! 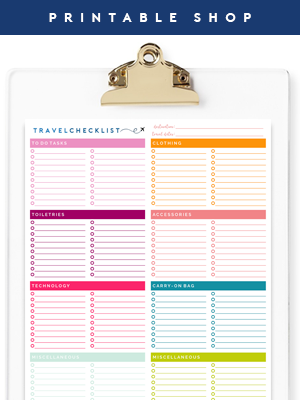 How about a link party with picture organization!!!!!!!!!???? 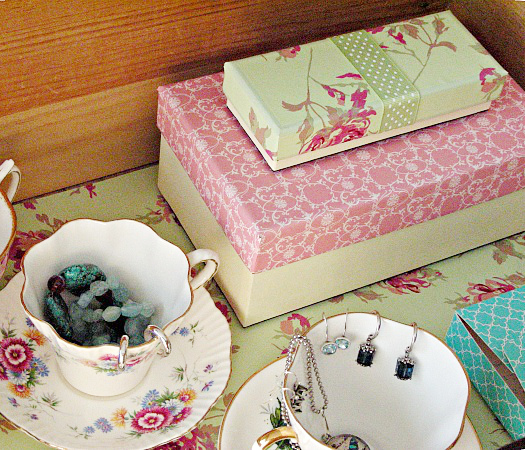 Thanks for including my teacup jewelry organization!